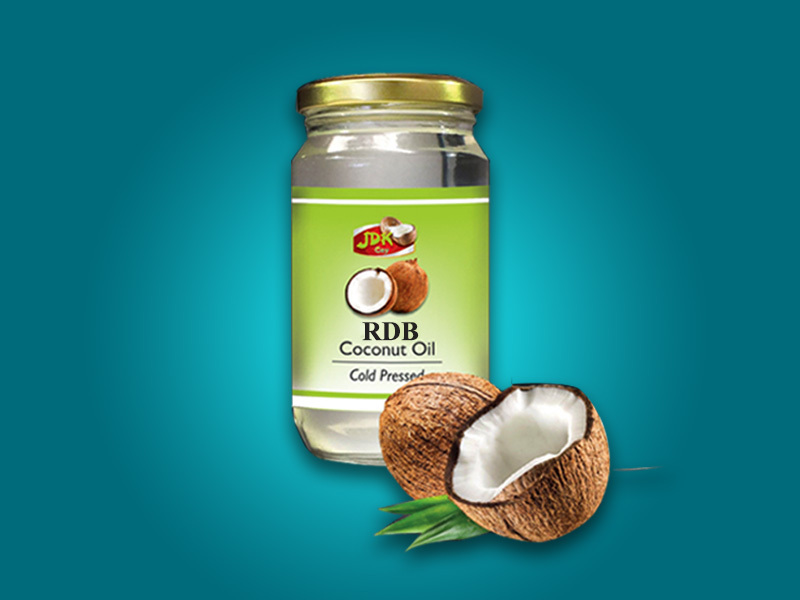 RBD Coconut Oil – Rainbow Foods (Pvt) Ltd – Exporting Tuna & Other Sea Food Products World Wide. Rainbow RBD Coconut Oil is made from the finest, freshest organically grown coconuts harvested from our own local plantations. RBD Coconut oil is manufactured using an artificial production and filtration process.mp; filtered twice The entire process is carried under below 60 C without altering the inherent goodness of oil. All storage tanks and production lines convey oil by Stainless steel tubes and tanks. The oil is pure white in colour, has no coconut taste or aroma. Over 90% of coconut oil is composed predominantly of heart healthy medium-chain fatty acids (MCFA), also known as medium-chain triglycerides (MCT); of which, more than 56% is Lauric acid.